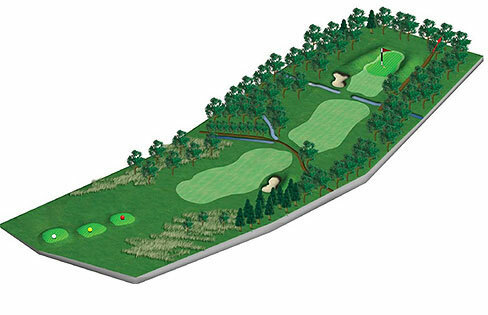 At 225 yards the fairway narrows into an avenue of trees at this Par 4. The second shot needs to carry a small ditch which runs across the fairway some 30 yards short of the green. Although this is the smallest green on the course you will rarely have an easy putt.